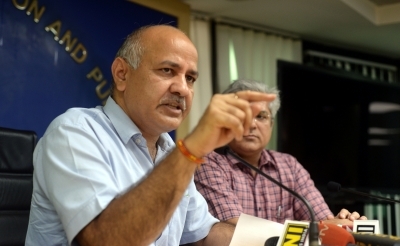 New Delhi July 12 (IANS) Delhi Education Minister Manish Sisodia on Thursday said the Happiness Curriculum will be introduced next week in schools run by the city government. "Our 18 000 teachers will take Happiness Curriculum classes for the students of nursery to class eight " Sisodia told the media. The government has organised a three-day orientation session for the teachers on the curriculum s intent and content. "The current session is ending today. We will conduct one more orientation session for more teachers principals and vice-principals " he said. "I am sure this will help in curing the increasing trend of depression anxiety and intolerance among our youths " he added. The students of Delhi government schools will have a 45-minute happiness period which will include meditation storytelling question and answer sessions value education and mental exercises. The activity-based curriculum launched on July 2 by spiritual leader Dalai Lama in the presence of Chief Minister Arvind Kejriwal and Sisodia will not have any formal examinations. However a periodic assessment of children s progress will be made using a happiness index.